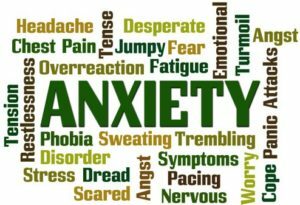 Blog > Cannabis Education > Medical Conditions > MMJ & Anxiety: The Safest, Most Effective Way to Settle Your Nerves? 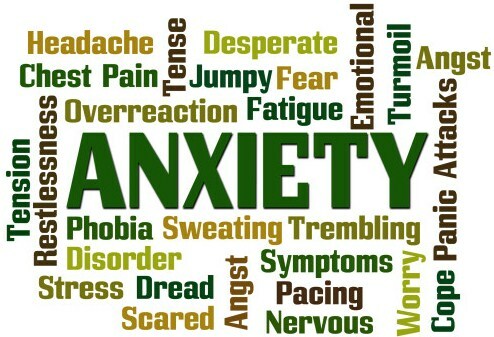 MMJ & Anxiety: The Safest, Most Effective Way to Settle Your Nerves? Medical marijuana use has been touted as a great reliever and relaxer, so it could be ideal for all you patients suffering from anxiety. But some of you might have experienced the exact opposite effect after use: more intense fear, worry and panic. According to the Anxiety and Depression Association of America, anxiety is “a normal reaction to stressful and uncertain situations.” However, when normal stress is replaced with extreme, persistent and unrealistic worries, Generalized Anxiety Disorder (GAD) may be to blame. Money, health, and work can lead sufferers to worry so much they often experience panic attacks. In addition to GAD, there are over ten other types of anxiety including agoraphobia, social anxiety, separation anxiety disorder, Posttraumatic Stress Disorder (PTSD) and other phobias. A single issue or combination of medication, drugs and/or alcohol, daily life experiences, prolonged exposure to stressful events, and genetics can cause anxiety. There are several significant signs like excessive worry, sleeping problems, irrational fears, muscular tension, irritable bowel syndrome, and compulsive behaviors. At it’s highest, anxiety will usually manifest as a panic or anxiety attack, which can be very scary. 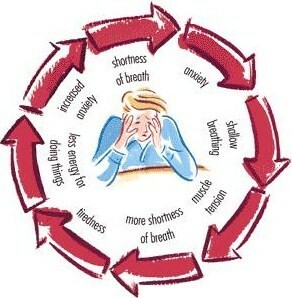 Panic attacks mimic the same symptoms as heart attacks, making them doubly dangerous. Symptoms include breathing issues, racing heart, sweating, dizziness, chest pains, and stomach cramping. Even more than the physical symptoms, most people find the feeling of helplessness and extreme panic amongst the attack’s worst effects. What’s scarier than that? Pharmaceutically speaking, there are four common medication classes used to treat anxiety disorders. SSRIs block the reabsorption of serotonin by certain nerves in the brain. This allows the serotonin, known as the “happy hormone,” to improve the body’s mood. Side effects can include insomnia, sexual dysfunction, and weight gain. These drugs increase serotonin and norepinephrine (an adrenaline-like chemical in the body) by preventing reabsorption into the brain. Side effects may include insomnia, headache, upset stomach, and increased blood pressure. Used strictly for short-term management, these drugs produce a relaxing feeling in the body, including muscular tension reduction. Unfortunately, these drugs can be addictive, and long-term use requires larger doses for relief. In a nutshell, these antidepressants balance the neurotransmitters that reduce anxiety. Usage carries possible side effects like drops in blood pressure, constipation, dry mouth, and blurry vision. 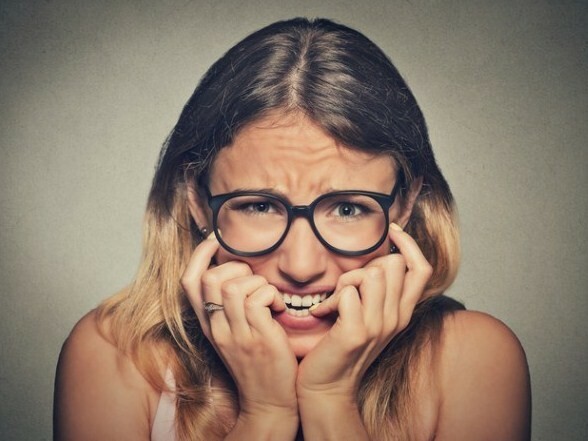 Many people plagued with anxiety choose to try natural or non-pharmacological management methods since, unlike drug treatment, the side effects are sometimes worse than the condition itself. Are you active? Consequently, exercising 20-30 minutes a day can alleviate symptoms. Deep breathing, like you would in yoga class, also lowers blood pressure and reduces body tension. Add some mindful meditation to increase mood and slow down your mental roll. Are you more of a talker? Cognitive Behavior Treatment (CBT) is a type of talk therapy shown to decrease anxiety. Patients not only get to hash out the things that make them anxious, but also work on strategies for reducing it and establishing positive thought patterns. Is food your natural cure-all? As strange as it sounds, many people get especially irritable and anxious when they’re hungry, colloquially known as “hangry.” Eat some nuts or dark chocolate to prevent your blood sugar from dipping. Amature botanist? Lavender has relaxing properties and a calming scent. A German study found that a specially formulated lavender pill reduced anxiety as well as the drug, lorazepam. Several other herbs and plants can have alleviate the effects of anxiety including lemon balm, chamomile, and valerian. It’s the most common mental illness in the U.S.
Anxiety disorders affect 18.1% of the U.S. population (40 million adults). Women are 60% more likely to experience it than men over their lifetime. Those with an anxiety disorder are three to five times more likely to visit the doctor. Only one-third of sufferers search out and receive treatment. Nearly half of those diagnosed with depression also have an anxiety disorder. Cannabis treated stress relief in India over 400 years ago. The mind is a complex and beautiful thing, and mmj can help manage anxiety with a little research and understanding. Marijuana operates on a system in the brain called the endocannabinoid system, which naturally adjusts stress and anxiety levels. It does this by releasing chemicals that belong to the same class of chemicals found in marijuana: endocannabinoids. So, how does it work? The endocannabinoid system consists of a series of receptors configured only to accept cannabinoids, notably tetrahydrocannabinol (THC) and cannabidiol (CBD), found in marijuana. These high concentrated cannabinoid receptors in specific parts of the brain are responsible for anxiety, including the amygdala and hypothalamus. Basically, when you imbibe marijuana, it goes directly to these parts of the brain to provide relief. A 2008 study found that THC can reduce anxiety. Participants received an MRI while exposed to pictures of threatening faces. When a primary cannabis constituent was administered, the activity of the amygdala (where fear is recognized and processed) was significantly reduced. However, studies do show that THC can be a little tricky when used to treat it. THC acts primarily on the CB1 receptors of the brain and, dependent on dosage, it can increase anxiety and paranoia levels. 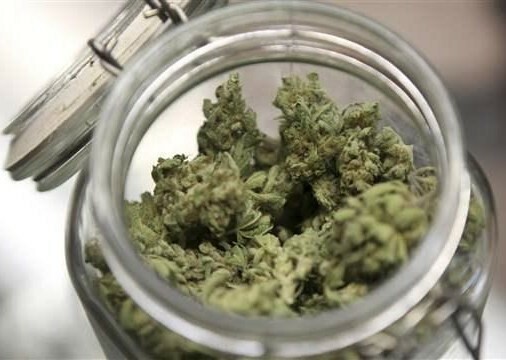 It appears THC decreases anxiety in lower doses, but increases it in higher doses. While CBD doesn’t affect the brain’s CB1 receptor, some researchers believe it may be a more effective treatment than THC. A 2011 study found evidence that CBD significantly decreased subjective anxiety after just one treatment. Then these same committed researchers performed another test that same year specifically focused on social anxiety disorder. Twenty-four patients were given a 600mg CBD dose before an anxiety-inducing event, a public speaking test. Not only did the CBD reduce anxiety, it also reduced their cognitive impairment and discomfort while speaking. Finally, a 2014 Institute of Psychiatry study found CBD helped managed anxiety in animals, fellow mammals like dogs, that also have an endocannabinoid system. During the study, animals that were administered CBD experienced lower anxiety and depression during a series of tests exerting both the body and mind. Reduces body pain and tightness caused by anxiety. Accurate dosages are relative to the individual, which could lead to over medicating. Larger, more frequent dosages can prompt hallucinations or delusions. 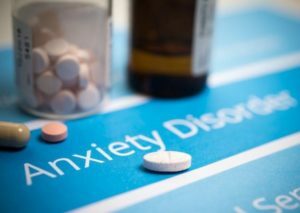 Unfortunately, those diagnosed with anxiety are more prone to substance abuse. Ironically some users report feeling more anxious after consumption, as marijuana can exacerbate it and cause panic attacks when the correct dosages aren’t followed. Hallucinations and delusions are also a risk factor. Admittedly, there’s not enough research on medical marijuana and anxiety to definitely claim benefits or drawbacks, but plenty of anecdotal evidence suggests its efficacy as a natural treatment option. Many users favor moderate THC levels or low-THC, high-CBD strains for relief. Avoid high THC levels unless it’s a smooth indica for you patients suffering from insomnia, a side effect of anxiety. Try Granddaddy Purple, a heavy indica which eases users into a peaceful state while releasing tension. This cross between the eponymous Purple Urkle (always fun to say) and Big Bud is especially ideal if you’re suffering from Generalized Anxiety Disorder. If you’re sensitive to THC, the high-CBD hybrid Cannatonic is a winner. Its balanced 1:1 THC to CBD ratio helps minimize anxiousness sufferers may feel using THC strains alone. Social Anxiety Disorder sufferers face a different challenge when choosing a strain: finding one that keeps them alert and relaxed simultaneously. A sativa like Strawberry Cough has been said to work well. Another to consider is a hybrid like ACDC, which contains nearly 20 times more CBD than THC. Satisfied users report a clear-headed and relaxed high. Want to try marijuana for anxiety? Let Nugg help! NuggMD’s certified, friendly medical marijuana doctors help you get your California mmj card online in no time. The evaluation offers the opportunity to ask the doc any and all questions you might have about medical marijuana and anxiety. Live outside of California? We now have medical marijuana doctors in New York! Stay tuned as NuggMD expands nationwide. Once approved, you can visit a collective and/or order from cannabis dispensaries online using Nugg. Get the strains listed above delivered to your door within the hour and feel the unease melt away. If you want more info before you start looking check out these strains, concentrates, edibles and other products perfect for several medical marijuana conditions. My anxiety, which with so many different medications remained unchanged for years. The difference I felt was night and day…Within a week after starting medical cannabis I noticed my anxiety in the morning and general anxiety throughout the day had been cut in half, at least. Although it is still very much present, it is seen in a different light. — Kyle H.